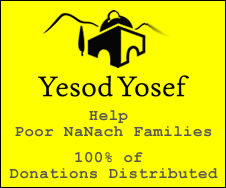 Na Nach Nachma Nachman Meuman: We know Benjamin and we know Josef but who is Yehuda? We know Benjamin and we know Josef but who is Yehuda? Earlier I explained the details about the wolf which is Rome, of the 'Romach' (sword), the right arm of Jacob, the tribe that never drank Rachel's milk....and so on and so on. Josef, the son that was born from tears and can hardly be called a human. Too perfect to be human, to powerful vs the Devil...therefore Gd allows him to face terrible adversity without which he would wipe the Devil out. The Jewish (people/ religion) illustrates perfectly the dilemma. Judah, from which the Messiah will come, is the man that has all the lusts and if he doesn't actually conquer them... he has the one vital character trait that he stands by his word. This alone makes him, oh so different from Reuven who is like water. While no one can stand before the mouth of the Lion! This is because the man who keeps his word with a passion also has the power to pray and be heard! The leader that brings the bones of Rabbi Nachman to JHerusalem will be the leader of the new tribe of Judah, may we see this very soon!